Relationships matter! SOEL & IDLL had the opportunity to learn together with partners in our community during our March meetings. We are thankful for collaborative relationships with the Assessment Literacy Network, 826 Michigan, the EMU Office of Campus and Community Writing, and the Responsive Teaching Institute. 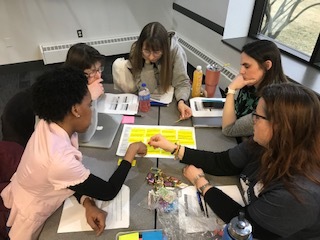 SOEL 1 teamed up with Assessment Literacy on March 13th on the work of Instructional Agility: Responding to Assessment with Real Time Decisions. Reflected on our current instructional agility and student investment practices to determine next steps. Take-aways centered on what student investment in assessment can do for their engagement in the classroom, particularly around literacy. 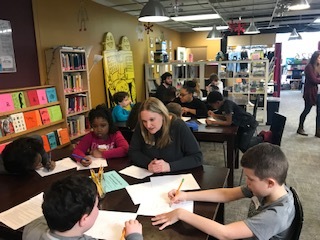 SOEL 3 took a field trip to 826 Michigan to learn about the writing non-profit in Ann Arbor and volunteer with a 2nd grade classroom from Lincoln Community Schools. 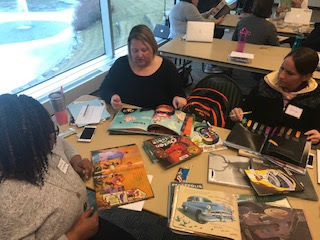 We witnessed and learned from The 826 Stand for student voices, and their mission to build diverse and inclusive environments supportive of student writing ages 6-18. During our visit and book study of Interactive Writing Across Grades, SOEL made connections to Essential Instructional Practices 1, 3, 4, 6, 7, 9 &10. IDLL teamed up with the EMU Office of Campus and Community Writing to examine Disciplinary Literacies in college classrooms and the support for students at the University Writing Center. 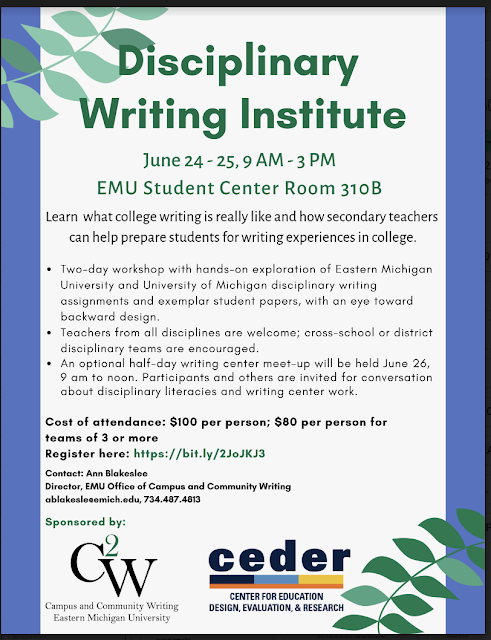 Writing is prioritized in many classrooms across various subjects at EMU. From writing to learn in the various content areas, to learning to write genres specific to the discipline, professors and instructors detailed their instructional thoughts and decisions around writing in their classrooms. 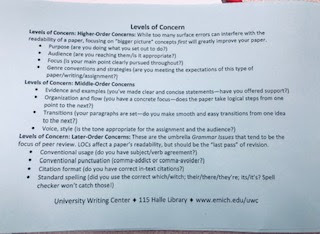 The University Writing Center helps student writers prioritize their writing in levels of concern- with purpose and audience of the highest concern and conventions of the lowest concern.